Everyone knows who Leonardo Da Vinci is. He is best known as an artist, his work as a scientist and inventor also make him a true renaissance man. He has quoted a very popular saying that “Water is the driving force of Nature”, which is a completely true fact. Not only it makes the nature alive but is responsible for every human being’s survival. According to the studies, it has been found that a person can survive for about three weeks without food but that is not the case with water. Without water, a person can only live for two days to a week that is an astonishing figure. About 60% of the body is made up of water and this is why it is required for the proper functioning of the body. Every living cell in the body needs water for the healthy immune system. It acts as a lubricant, regulates the temperature of the body by helping it to flush waste, sweat, and respire. Consumption of more and more water is good for overall health including digestion, respiration, circulation etc. It even gives you a beautiful skin. 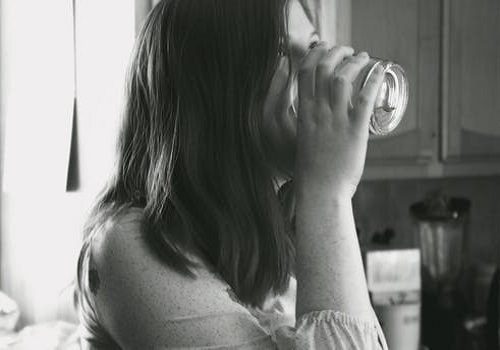 According to the study on The effects of water consumption in 2007, it has been stated that drinking 500 milliliters of water every day will increase blood flow to the skin. Water acts as a miracle for skin. It keeps the skin youthful along with making it completely hydrated. It reduces wrinkles by filling in and plumping the skin. If you don’t drink enough water, the skin cells are not sufficiently hydrated resulting in making you look older as well as unhealthy and dry skin. It maintains the optimum skin moisture as well as deliver important nutrients that are required for the body. It increases the elasticity of the tissues and replenishes them. Water consumption is effective in delaying the appearance of wrinkles and fine lines on skin. It is a great replacement for expensive anti-ageing cream by making skin soft, supple and wrinkle-free. Water improves metabolism rate and digestion resulting in a glowing skin. It is healthy for your skin to take shower regularly. Usually, it is advised to take a cold shower that relaxes all the nerves and also lessen the stress-related damages to the skin. Soaking your body for 2-3 minutes in cold water rejuvenate the skin but don’t do that for too long as it could also make your body dry. Warm water helps to open the clogged pores that were formed due to excessive oil secretion. After washing the face with warm water, seal it by splashing cold water on your face. It will tighten the pores, prevent them from clogging and reduce the visibility of acne as well. A cold water compress helps in improving an eye inflammation. To detoxify and tighten the skin, water is extremely beneficial. If you wash your hair with cold water, it will leave your hair glossier and shiny by making the strands smoother and reflective. Do not use chlorinated water to wash your hair as it makes your hair frizzy and damaged. Water consumption also helps to keep your hair dandruff-free. It is suggested by the experts to drink about 6 to 8 glasses of water every day. You can also check whether you are drinking an adequate amount of water by watching the color of your urine. If the color is pale yellow or completely clear, then that indicates that you are drinking sufficient water but if it is yellow, you need to drink more else you may face health issues. Since, water is responsible for carrying out multiple processes in the body like circulation, respiration, excretion, it is extremely important to drink water in large amount. If you don’t drink water, you may face various symptoms like fatigue, dry mouth, dehydration, dark yellow urine. Your blood pressure could drop and your body can lose its elasticity. In severe conditions, it might lead to coma, shock and even death. Therefore, it is necessary to keep your body hydrated all the time. Including these food items in your diet can increase the water content in your body and make your skin look lively and beautiful.